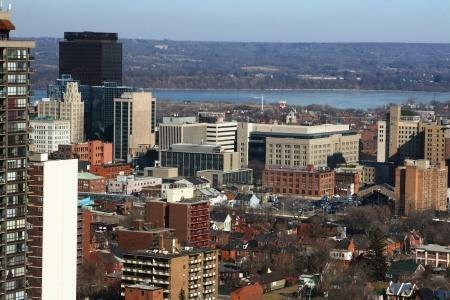 Investors are flocking into Hamilton to take advantage of the tremendous real estate prices the City has to offer. With similar type of construction as you'd find in Toronto, the low prices in Hamilton appear to offer great opportunity. There are two groups of investors coming into town. The big investor: this investor has very little to worry about. They're usually armed with very competent commercial agent and are not prone to taking on unnecessary risk. The large commercial real estate investor is familiar doing their "due diligence". They're familiar with environmental assessments, zoning regulations, the income approach to value and financing restrictions. The small investor: this investor is another story: they're usually represented by an Agent who deals primarily in residential real estate and all too often they're from out of town. Selling single family homes to single families does not pose the same risk as selling multi-residential units. Hamilton just happens to be a City that is getting its ducks in a row in an effort to eliminate rental units that don't fit in with the Official Plan. Right now, early in 2014, to many, it appears that the City is sleeping. Some may even believe that they've shelved their desire to legalize or license rental units. The truth is, they haven't. In 2008, the City of Hamilton started to look at its multi-residential inventory. In 2011, they moved full steam ahead by hiring extra by-law officers to enforce zoning and address property standard violations right across the City. In 2012, they took it one step further and started to look at some form of rental licensing for all properties that contained 6 or fewer units. Even though various Stakeholder groups embraced the idea that Licensing would improve living conditions for many, they could not support the idea: thousands of units would be lost due to the inability to attain proper zoning. With an affordable housing waiting list of six thousand, the consequences would be catastrophic. In 2013, the City of Hamilton agreed to set aside rental housing licensing. Hamilton has a brand new Official Plan. Now, it's time for them to write the by-laws to support the Plan. The City is also revisiting their antiquated and restrictive building code: agreeing to bring it more into line with the Ontario Building Code. Once this is all in place, the landscape of small multi residential properties in Hamilton will be forever changed. Owners with illegal units will ultimately pay the price. They will have to make their units legal. The majority of basement apartments are illegal in Hamilton. Presently, a "basement" is defined as the space below the first floor of the house that is more than 50% above ground, anything else is a cellar and you cannot have habitable rooms in a cellar. Size matters. Units that are less than 699 square feet (most attic apartments) and have not been in existence since the 1950's, with a guarantee of continued use since then, are probably illegal. Minor variances and rezoning are expensive and not easy to obtain. A MLS® listing does not mean that it's legal. MLS® simply stands for the Multiple Listing Service. It's a means of distributing listings. Unlike commercial listings, residential listings in Hamilton do not require a zoning verification. It's very necessary for the Buyer to do their own due diligence. The City is still working towards identifying and shutting down illegal units. Just because MPAC says multi residential, doesn't mean it's legal. Homes rented to groups of students must not have more than 8 habitable rooms. (bathrooms are not included) There is a fine line between a house rented to a group of students and a lodging home, the latter of which requires a Lodging Home License. Verify the current zoning on the property and make sure that the current use is recognized by the City. Simply because it is in a zone which permits the use, doesn't mean that the City is allowing it or that it could ever meet the requirements to be legal for the use. The zoning verification should verify that the "use" you're buying is recognized by the City. Deal with a qualified REALTOR® who is familiar with multi-residential real estate in the City of Hamilton. Deal with a local Lawyer who is familiar with multi-residential real estate in the City of Hamilton. Do not be fooled by information contained on any listing. Even though the Real Estate and Business Brokers Act (REBBA 2002) clearly states that a REALTOR® cannot provide the public with false or misleading information in concern to real estate, it happens all the time. Statements on listings such as "Seller makes no warranties as to use" "Buyer to verify use" "potential for another unit" "Legal duplex being used as 4-plex" are all super sized red flags. Once you've confirmed the City's recognized use of the property, you can proceed on to determining the true value of the property. 124 Anywhere St. is recognized by the City as a "legal non-conforming duplex" and it's currently being used as a triplex. One of the rules for "legal non-conforming" use is that the use is uninterrupted. The "non-conforming" portion was lost the minute it was converted to a triplex. What you now have is a single family home being used as an illegal triplex. Value of properties that share similar recognized use minus the "costs to convert back to recognized use" or "cost to convert under section 19" and that will equal the current true value. Using the above example, if this retrofitted triplex was actually recognized as a legal duplex, then there is a possibility that the additional unit can be legalized under Section 19 (Conversions) in the City of Hamilton zoning by-law. The cost would be dependent on obtaining a building permit to change use and all the costs associated with it. Currently, applying for a building permit for a conversion to a duplex requires the owner to provide the City with a drawing of the property. 3 and 4 family homes require the owner to employ someone who has a Building Code Identification Number to draw up official drawings of the entire structure, including but not limited to heating and electrical schematics. Anything above 4 units requires an architect. If you are purchasing a property that has a commercial component to it (ie storefront with 2 apartments above) you will fall under commercial lending practices which serve to not only protect the financial institution but you as a buyer. Proper analysis of the rents will be conducted by a commercial appraiser and environmental certificates will be obtained. Even though it will cost you a lot more up front, you will be reassured that you are buying exactly what you think you are.